Danya Malashenkov Other In Ein Skopudhr Galdra & Mistsorrow are brought together two completely unknown artists by the Australian Australis Records to release a split CD of psychedelic folk, dark ambient and neo-classical music. "Woden Rising" is a neo-classical/dark ambient piece of more than 20 minutes in length and apart from a few vocal noises is an instrumental track. It sounds like an odyssey or quest into another world. A psychedelic journey into darkness, very much led by ritual sounding guitars. A very melancholic tale, broken up by experimentation and more ritual ambient parts with a more ritualistic and religious sounding atmosphere. Ending in a peculiar peculiar, trance-like, and psychedelic atmosphere, quite a trip. This is followed by "Draugadrottin", a very short piece of two minutes of ritual ambient music. Definitely about some sort of pre-christian pagan ritual. But overall to me it's two minutes of nothing, at the end of the journey I was just left abandoned in a void in space. In "Misty Sojourn", Mistsorrow perform a neo-classical piece fused with dark ambient, again a melancholic piece , and spoiled by the synths. It has a more cinema soundtrack feel to it but for me fails to create much of the necessary mood and atmosphere that this kind of music should, it's central purpose. It has hints of experimentation, noise and isolationism. "The Stormgrounds" again is a melancholic tale but this time with twinges of beauty made by the organ sounds. A track of more than twelve minutes in duration, which continues and improves on the horror cinemascape theme. I would describe it as medieval ambient with a haunting neo-classical touch. The part I don't like is probably the most important where something like background drums are attempting to give the impression of a storm and the whole thing just goes on to long. "A Rememberance Piquant Scents from across the gently flowing Stream" follows, such a great title. But I don't find anything else great about this very short piece, especially the organ like sounding synths. The track appears to be a lead in to the final track. We close with "Reprise/Unfamilar Scapes" a piece of more than seven minutes in duration. This is Black Space, and I am on a desolate spaceship orbiting a planet in the darkest region of space. You get that feeling like when you gaze up into the night sky on a clear night in awe of creation. Would make good music for a space soundtrack. 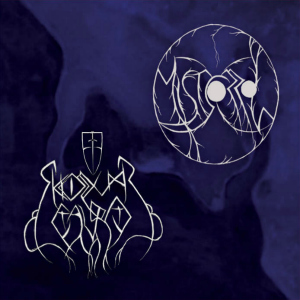 In Ein Skopudhr Galdra & Mistsorrow are brought together two completely unknown artists by the Australian Australis Records to release a split CD of psychedelic folk, dark ambient and neo-classical music. Obviously not for me and I think made for a very specialist neo-classical/dark ambient market with all it's ambient offshoots which are included here. I have listened to quite a lot of dark ambient music over my time with Brutal Resonance, some creates excitement and the right level of atmosphere required to paint pictures in the mind, this work in both parts to an extent, but in the main falls just short of the required mark.